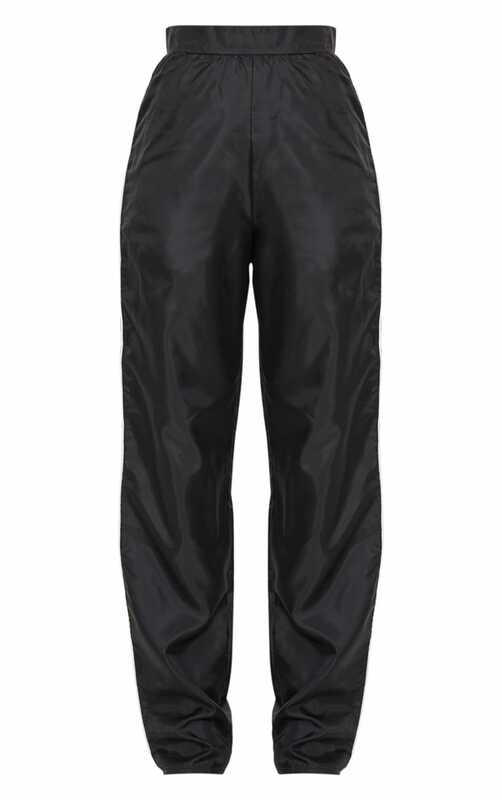 Get bang on trend in these shell trousers girl. Featuring a black shell material, with white contrast binding detail. Style with a crop top, bum bag and perspex heels for an oh-so chic look.